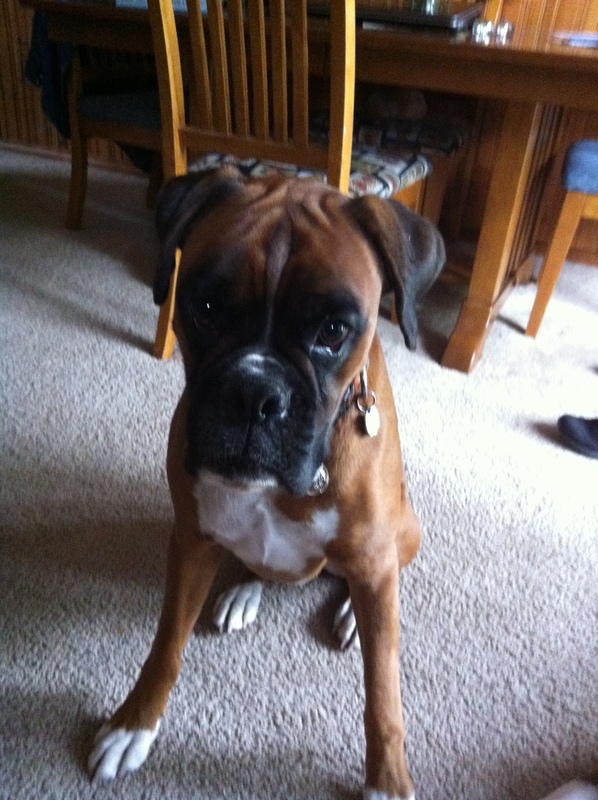 This is Charlie,,, My 3-year-old Boxer…. 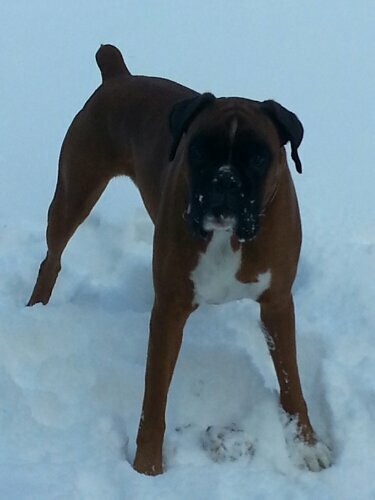 If you know anything about Boxers, you know they are stuck in puppy stage for life… Overly energetic, a bit hyper, statisticians, athletic and of course they think they are somewhere in the top of the hierarchy in the family! 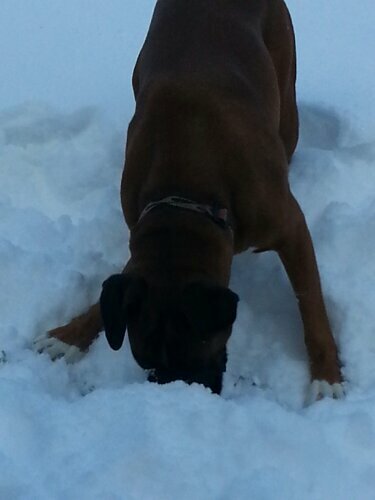 Of course Charlie is all that and more!!! 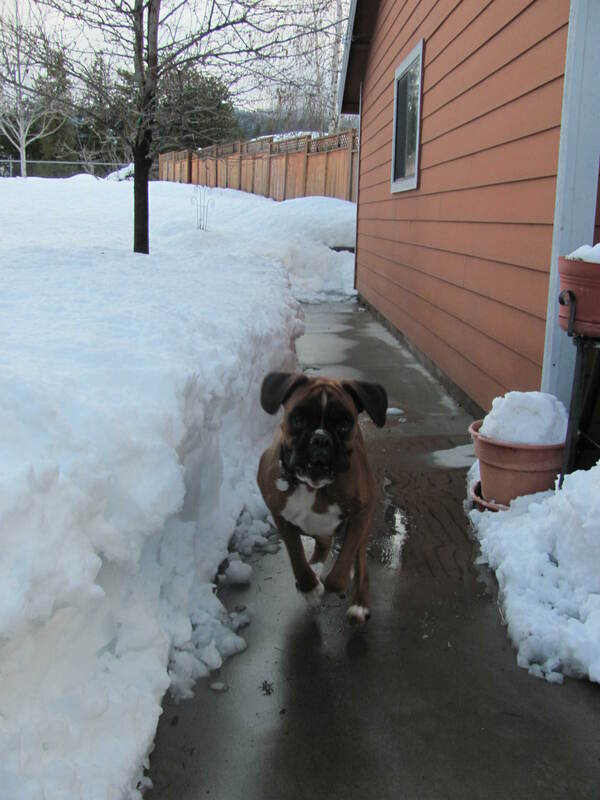 This is Charlie just being an energetic Boxer… Running as fast as he can to me down the path of snow… Hoping I will give him a treat! 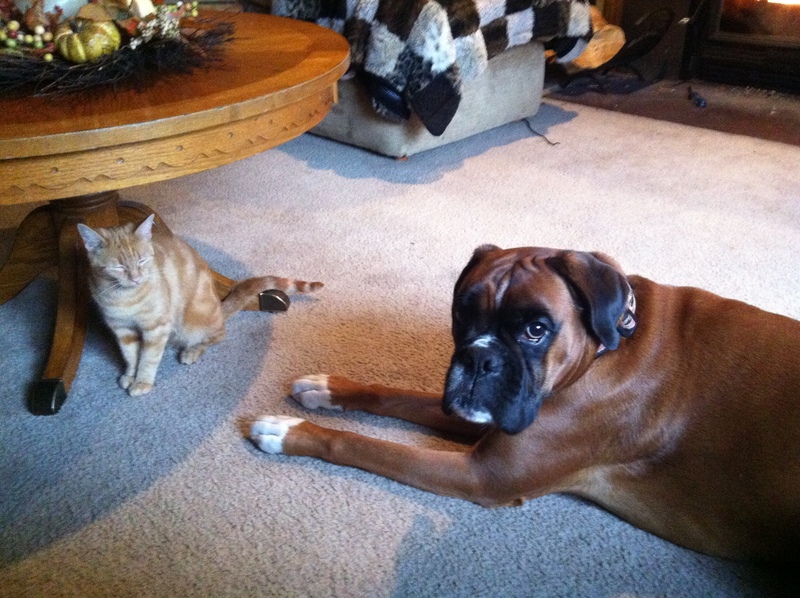 Well, That’s my Charlie for now… So here is to a girl having a faithful best friend! Crochet with Me… Week 10 CAL! !